The tale of Tommy Tomasi is one of an ordinary man, who has lived an extraordinary life.�Born in 1926 in the northern Alps of Italy he grew with the threat of war and joined the Partisans in his early teens. Captured and sent to a Stalag 7 in northern Germany, he survived to see the Americans arrive in 1945, then weighing a mere 32 kilos. He tells of "living for payback" in the difficult post-war years, until he decided to immigrate to Australia. Like the hero in They're a weird Mob, he arrived in Perth and found direction in a pub full of friendly Aussies. The larrikin Tommy had no trouble fitting in, and he quickly found work in the Kalgoolie gold mines as a "powder monkey". After a young friend's death, he returned to Perth where by chance, he saw a photo of a Kosiosko chalet covered in snow. Not believing there could be snow in Australia, he�immediately bought a small four-cylinder car, and set off across the Nullarbor Plain to seek his beloved mountains. On arriving at Cooma, NSW, he didn't find a European Alpine landscape, but did find thousands of other� immigrants already working on the new Snowy Mountain Scheme, which he joined as�a hydrologist at Island Bend. 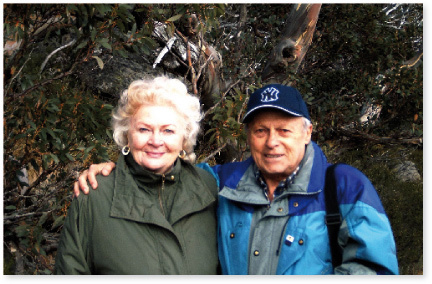 He discovered fellow European ski enthusiasts at the Kosiosko Chalet resort, and a pretty Australian redhead, Joyce, whom he soon married in the first�marriage on top of Australia, paid for by the tourist board. By 1955, the Snowy scheme had pushed through an Alpine road that climbed up the Thredbo Valley,� and in 1957 the Thredbo ski resort opened with it's first rope tow. Having been a ski racer back in Italy, Tommy foresaw the need for a ski Patrol to save the legs and lives of the weekend warriors in the dangerous terrain, and thus began the Ski Patrol Association of Australia, 50 years ago. Tommy was there at the 50-year reunion of Snowy workers, and at the recent rallies that prevented the sale of Snowy Hydro. He was��selected� by Sophie Jensen of the National Museum of Australia,�as one of the 101 Australians chosen to represent Australia in the permanent Eternity Exhibition. Tommy is a one in a million personality, who has given so much to so many.